overhead for a hydroponics crop. 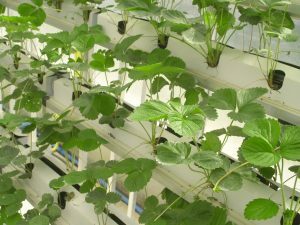 In the ideal situation, practical hydroponic gardeners can highlight unnecessary spending through this analysis and save money. Rent and mortgage costs are always included when pricing out a hydroponics cannabis crop. Because, these gardens generally require a great deal of square footage. Point being, indoor growers must rent or purchase homes with far more space than required for their normal living needs. According to nationally accredited rental companies, the average price for a rental property in the U.S. is $1,500 per month. For simplicities sake, one can assume that 1/4 of the home will be used for cultivation, resulting in $375 per month in rent expenses. Electricity rates fluctuate greatly throughout the country. Also, some power companies charging inflated “tiered” rates for high-power users such as indoor gardeners. Nonetheless, paying attention to the kilowatt hours used, as well as fluctuating rate systems for daylight hours and seasons, will give a solid foundation for analyzing one’s own costs. According to a qualified source, $0.13 per kilowatt hour is the average cost of electricity in the U.S. To place this number in context, our hypothetical 10,000 watt grow room uses approximately 5,000 kilowatt hours a month. This usage represents a running cost of $650 per month. The price of water per gallon can vary significantly according to a number of factors. However, following these mathematical examples will provide a framework for computing water expenses on an individualized basis. According to a national database, the average water cost for a U.S. citizen is $1.50 per 1,000 gallons. In our hypothetical 10,000 watt grow-room scenario, a cultivator must keep a 100 gallon reservoir full at all times to keep the system functioning properly. This is because, with a 25 % evaporation rate, one can count on losing 25 gallons a day to evaporating water. This water loss totals 175 gallons a week. Moreover, a hydroponics crop in a 10,000 watt room can easily consume 40 gallons of water every other day. This consumption totals 160 gallons in a week. Finally, in an active hydroponics system, it’s a good idea to clean one’s reservoirs once a week to ensure a consistent PH level. This cleaning results in using another 100 gallons a week. Therefore, a hydroponic gardener can count on using 3,915 gallons of water in 9 weeks for a 10,000 watt flower room. 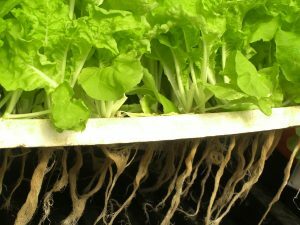 The most popular and affordable growing medium for an active hydroponics system is rock wool cubes. It should be noted that the choice of rock wool cubes is purely subjective. However, this example provides a logical format for pricing. Following our hypothetical 10,000 watt growing set-up, let’s assume that each of the ten 1,000 lights will have 9 plants. To this end, 6 inch rock wool cubes cost about $3.30 a piece, with a total cost per light of $29.70, or $297.000 for the whole grow room. There are literally a surplus of options of excellent nutrient lines on the market today, and they will all probably will yield pretty good results. It should be noted that, in time, each indoor gardeners develop their own nutrient “recipe” that works for their particular crop as well as infrastructure. However, for the novice hydroponics enthusiast its best to follow the feeding charts provided by nutrient companies. After some market research, findings show one of the most affordable feeding schedules comes in at about $324.00. The use of CO2 enrichment is not necessary for the beginner indoor gardener. Nonetheless, once one has their feeding schedule and climate perfected, the use of CO2 can greatly increase the size of a yield. A 20 pound CO2 tank costs $30.00 to fill and will last for about 3.5 days in a sealed room. Every indoor cannabis cultivator has a different idea of what items are “essential” in growing a healthy hydroponics crop. Still, all growers use additional materials for plant support and pest control. A 10,000 watt room requires six 5 ft. x 15 ft. pieces of trellis netting for two layers of canopy support throughout the entire grow room. The cost of this trellising is about $10.00 per unit, or $60.00 total. In addition, for pest control and mildew control neem oil is an effective and inexpensive spray that can be sprayed on plants throughout their life cycle. One pint of neem oil is approximately $15.00. According to our figures, one can count on a 9 week, 10,000 watt active/ebb-and-flow hydroponics cannabis crop costing a minimum of $3, 538.12 to produce. Different indoor cannabis growers have different theories on what counts as an “expense.” Nonetheless, this analysis has provided a bare-bones guide for understanding why hydroponics gardening is so expensive. Moreover, if the savvy horticulturalist gives critical attention to rent/mortgage expenses, kilowatt hour rates, water price per gallon, and nutrient feeding schedules they can make some educated decisions concerning budgeting and expenses for indoor gardening. This article originally appeared in the June 2017 edition of Maximum Yield Magazine.